Very nice staff at reception when i picked up the keys. Fair price, very clean inside, all the comforts of home! Thanks for the juice and nuts also. We will stay here again. This was our second visit. Friendly staff ( especially the resident pooch! ), modern and immaculate apartment with all facilities. The staff remembered that I previously suggested having an electric kettle to use....and hey presto.....they provided one for us this time......plus a welcoming note and some chocolates. Superb service! Comfy bed, lovely customer service. Personalised welcome card. Everything we needed was there. The kitchen facilities were great. Friendly staff, and a beautifully decorated apartment with all necessary facilities. Very comfortable bed. Lift to and from underground car park made access a breeze. Large apartment, great location, bright and airy. 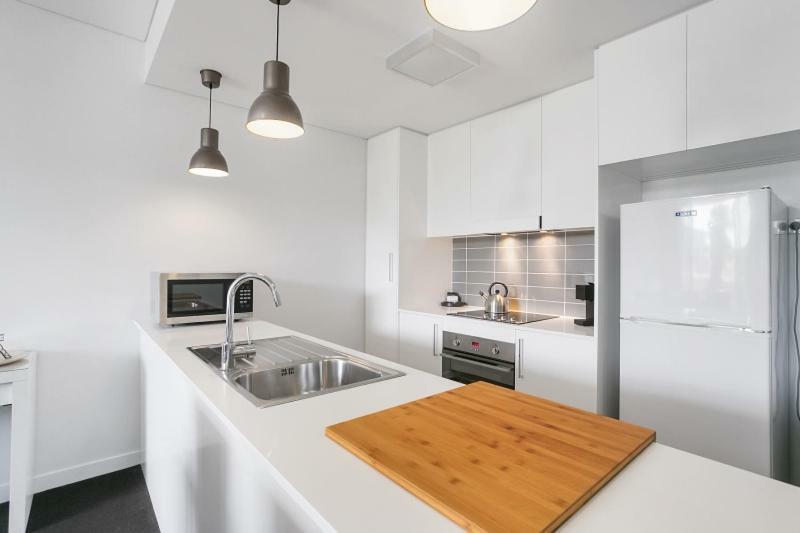 Very close to Lonsdale Street entertainment district. Easy walk to most locations. Apartment was small, but comfortable. Plenty of utensils and cookware. 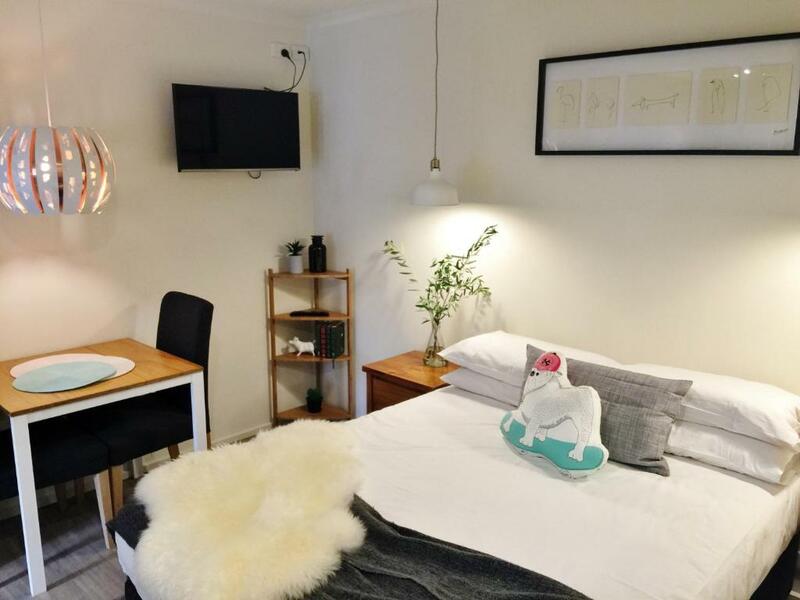 Canberra Furnished Accommodation This rating is a reflection of how the property compares to the industry standard when it comes to price, facilities and services available. It's based on a self-evaluation by the property. Use this rating to help choose your stay! 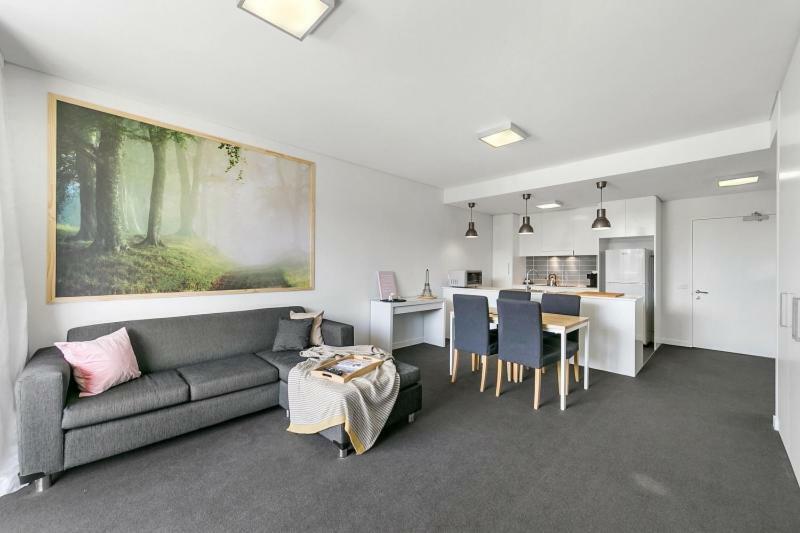 Set in various locations around central Canberra, Canberra Furnished Accommodations offers self-contained studios and apartments. All accommodations features a balcony or a patio, and some offer access to a swimming pool, gym and BBQ facilities. 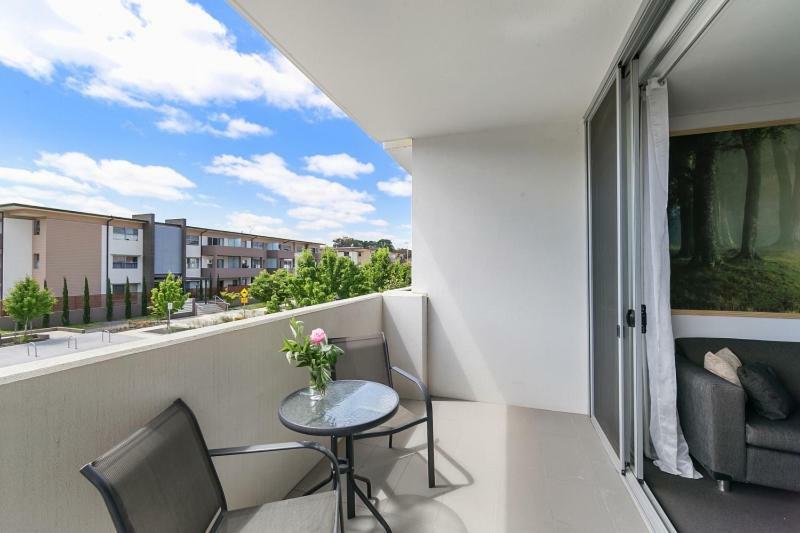 All Canberra Furnished Accommodations locations are within a 7-minute drive of Lake Burley Griffin and a 10-minute drive from New Parliament House. All are within a 13-minute drive of the Royal Canberra Golf Club. All executive apartments offer secure underground parking, and budget accommodations offers off street parking. When would you like to stay at Canberra Furnished Accommodation? 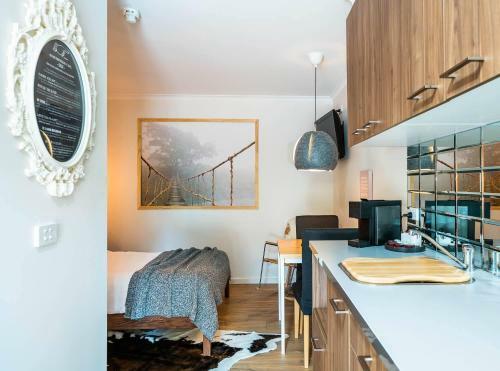 This studio features modern décor, a balcony and a fully equipped kitchen with an espresso coffee machine. It features a dining and lounge area with a flat-screen TV and a DVD player. It has outdoor furniture, ironing facilities and an private bathroom. 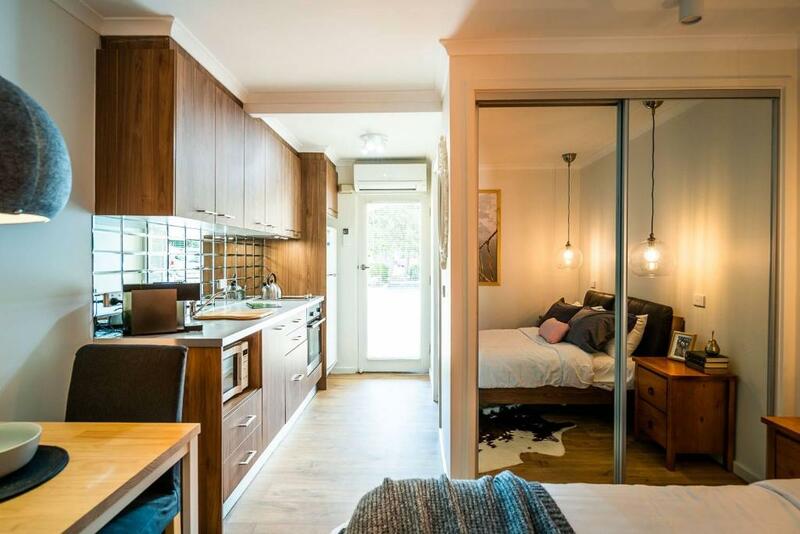 It has access to shared laundry facilities. Located at 47 McMillan Crescent, Griffith ACT 2603. This air-conditioned apartment features a balcony, a fully equipped kitchen and a laundry. It features a dining and lounge area with a flat-screen TV and a DVD player. It has outdoor furniture, ironing facilities and an private bathroom. Please note that the price is based on 2 guests. Maximum occupancy is 3, the third adult will be accommodated on a roll-away bed. 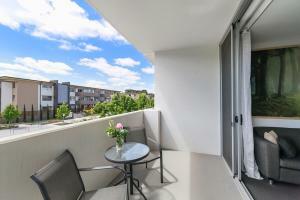 This air-conditioned apartment features a balcony, a fully equipped kitchen and a laundry. It features a dining and lounge area with a flat-screen TV and a DVD player. It has outdoor furniture, ironing facilities and an private bathroom. It has access to an outdoor swimming pool. 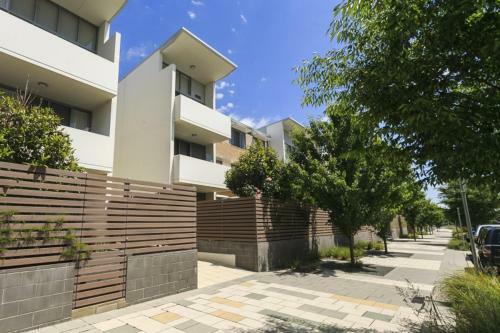 Located at 116 Easty Street, Phillip. This air-conditioned apartment features a veranda, BBQ facilities, a fully equipped kitchen and a laundry. It features a dining and lounge area with a flat-screen TV and a DVD player. It has outdoor furniture, ironing facilities and an private bathroom. Located at 1 Mouat Street, Lyneham. Please note that the price is based on 4 guests. Maximum occupancy is 5, the fifth adult will be accommodated on a roll-away bed. Located at 37 Ijong Street, Braddon ACT 2612. This studio has a electric kettle, microwave and air conditioning. 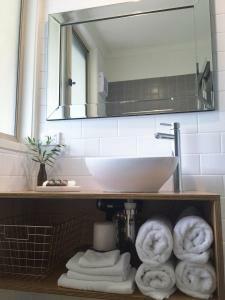 House Rules Canberra Furnished Accommodation takes special requests – add in the next step! All children under 2 years are charged AUD 45 per person per night in a crib. Any additional older children or adults are charged AUD 45 per person per night for extra beds. Canberra Furnished Accommodation accepts these cards and reserves the right to temporarily hold an amount prior to arrival. Please note that Canberra Furnished Accommodations has several locations. Please note guests are required to complete a Guest Agreement form, and provide a valid photo ID and credit card upon check-in. For full terms and conditions, please contact the property prior to booking, using the contact details found on the booking form. Please note that reception hours are Monday-Friday 9:00 until 17:00. If you expect to arrive outside reception opening hours, please inform the property in advance. You can use the Special Requests box when booking, or contact the property directly with the contact details provided in your booking confirmation. Please note there is an additional charge of AUD 30 to have a king bed split into 2 single beds. Please note that check-in and key collection take place at: 37 Ijong Street, Braddon, Braddon 2612. Someone parked in my allocated parking space and I had to park on the road. The pool area was not very nice at all but wouldn't take much to clean it up a bit. The coffee pods and machine was not brilliant. I would have preferred to bring my own coffee and use a French press. An electric kettle , rather than a stovetop one would have been better. Keys had to be collected from the other side of the city - ridiculous! And this only became evident once my booking was complete. Further, the location advertised on booking.com was not the location of the room allocated - again, not notified until my booking was complete. A serious inconvenience was the intermittent (mostly unavailable) Wifi connection, reported to the staff but still not fixed after seven days! Wifi was advertised on booking.com and a reason I chose this property - but the staff claimed Wifi was merely "complimentary", a joke in this day and age. 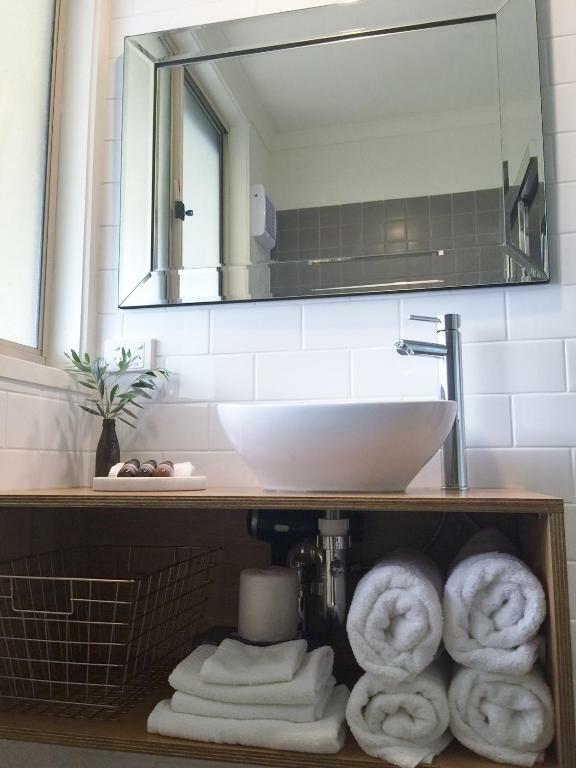 The apartment is very small, with no armchair or room for one and no window, except in the bathroom. The apartment I stayed in had really terrible water pressure (almost to the point of it being unusable. Needs repair). Appliances like fridge and air-conditioning units in need of a service as they were very noisy, so pack those earplugs, unless you like a non-stop fridge motor lullaby at night. Free (or any) wifi. The apartment was not serviced at any time during my two week stay, so I ran out of consumables (e.g. Toilet paper). The laundry was terrible and not free.